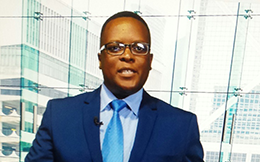 Joey Mathekga is the Head of Corporate Compliance and Disclosure Regulation, a unit in the Companies and Intellectual Property Commission (CIPC) of South Africa, responsible for the XBRL Programme Roll Out as a Programme and Business Owner. He joined the Department of Trade and Industry and its related agencies on 08 February 1995. On 01 May 2011 he joined CIPC after its establishment in terms of the Companies Act, Act 71 of 2008 as amended. The mandate in the unit he oversees includes amongst other things, Investigation of Companies Act contraventions; analysis of Annual Financial Statements; registration of Prospectuses (Share Offerings of Company Securities) and Administration of Reportable Irregularities by Independent Reviewers. A former ExCo member of the Corporate Registers Forum for two terms. Made presentations in conferences on Company Registrations and Compliance in various regions internationally, viz. Malaysia, Hong Kong, UK, New Zealand, Botswana, amongst others. He has Individual Certification on XBRL Foundation Certificate Program. Qualified with a National Diploma in Municipal Administration (Tshwane University of Technology/ TUT); Advanced Management Programme and Executive Development Programme (National School of Government in conjunction with University of Pretoria and TUT respectively), Certificates in Corporate Law and Advanced Corporate Law (Tshwane University of Technology). As the XBRL Programme Owner, he oversaw the Conceptualisation and Approval of the CIPC’s XBRL Business Case; Base Taxonomy Development; XBRL Portal Development which includes Business Intelligence Capability; Change Management and Regulation/ Enforcement of the CIPC XBRL Mandate which became effective 01 July 2018. With juridictions right around the world looking to enhance disclosure, more and more are now shifting to Inline XBRL, allowing human and machine readable reports to greatly enhance reporting. In this session, we dive right in.